I happened on a food blog called RecipeTinEats while looking for a recipe for southern-fried chicken that was not actually fried, as Pete had bought a pack of chicken breast mini fillets. This blog had great photos – and does anyone else feel that practically every food blog one sees nowadays has fantastic photographs? The food itself doesn’t look doable by lazy/incompetent me, but my oh my, the photos! But that’s by the by – as I was saying, the photos were sensational and when I read the write-up and the recipe, I was thrilled that it really did seem easy. The recipe below is pretty much what Nagi of RecipeTinEats posted on her blog. I used a 50:50 mixture of Greek yogurt and milk in place of the buttermilk (because I didn’t have any buttermilk handy), and added some cumin powder and coriander powder to the spice mix… because why not. While the spices probably don’t add up to the number that KFC boast of in their “secret” mix of spices and herbs, they are more than adequate for the chicken. I guess I should say that the chicken didn’t get as crisp in the oven as Nagi mentioned, but perhaps that was my fault. I was just concerned that the chicken strips might become dry and tasteless if I left them too long in the oven in the hope that they would crisp up. So I removed them when they were a golden brown and a knife inserted in the thickest part showed that the chicken was cooked. I didn’t tell Pete that the chicken was meant to be KFC-style. I just served it up with home-made coleslaw. And guess what? When I asked him if the chicken was good, he said – and this is gospel truth – that it was the best chicken he’d tasted short of being an actual KFC takeaway! Sweet! And he made the KFC connection all on his own. So thank you, Nagi of RecipeTinEats, for the inspiration. 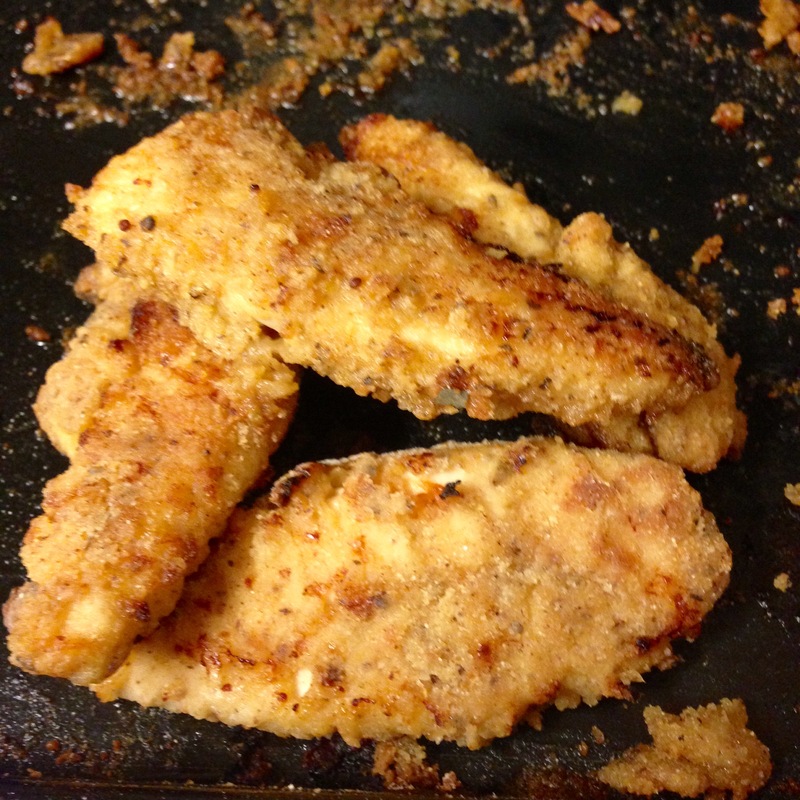 This entry was posted in Chicken and tagged black pepper, buttermilk, chicken, coriander powder, cornmeal, cumin powder, dried basil, dried oregano, dried thyme, fillets, garlic powder, ginger powder, Greek yogurt, milk, mustard powder, panko breadcrumbs, paprika, red chilli powder, unsalted butter on November 15, 2015 by shyameds. I’ll be honest, I don’t like korma. I’m not even particularly fond of proper Indian kurma, but it’s the British korma that I really do NOT like. Why not? Because it’s usually far too sweet (almost like a pudding) and usually far too greasy as well, and it has no chillies to counter that cloying taste. But Pete likes korma rather a lot for precisely that reason. Well, each to his – or her – own. I’m happy enough to make korma at home for Pete as long as I don’t have to eat it. I do not add extra sugar (which is something I’m sure is done in restaurants), which probably allows the coconut milk to provide its own natural sweetness. I say probably, but that’s because I don’t taste it at all and never have. So it’s kind of tricky, really, cooking non-vegetarian items for my husband… but more often than not, whatever I cook turns out rather well. It’s quite rare that he has to add extra seasoning. Touch wood. So, enough of blowing my own trumpet and on with today’s recipe. This korma is quite simple and is perfect for a weeknight supper. Yes, it looks like a long list of ingredients, but I promise that if you exercise due diligence with your mise en place before you start cooking, this curry can be ready in 20 minutes. The more complicated, authentic Indian kurma is a recipe for another day, and another blog. 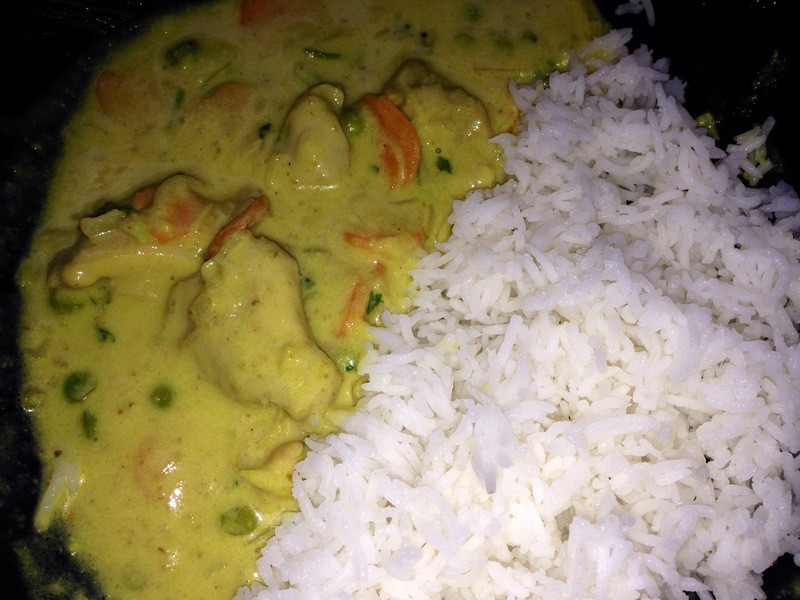 This entry was posted in Chicken and tagged boneless chicken thighs, coconut cream, coriander leaves, coriander powder, garlic, ginger root, onions, whole milk on August 27, 2014 by shyameds. Anyway, I bought three medium sardines for Pete’s supper yesterday. The fishmonger at Morrisons kindly beheaded the fish on request and cleaned out the guts. The bones, however, were very much in the fish. They were tiny but definitely hard enough to make their presence felt. I was kind of worried about this, but Pete assured me that it was not a problem, that he would eat the fish carefully, and that yes, most fish-lovers would eat around the bones, picking them out as they went along. It seemed (and I continue to feel that way) like a heck of a lot of trouble to go to – but evidently most people are not as lazy as me! Besides, according to Pete, sardines are very very tasty fish. This entry was posted in Fish and Seafood and tagged black pepper, coriander leaves, coriander powder, Cumin, cumin seeds, Fish, Flour, garlic, hemp oil, oil, sardines on October 13, 2012 by shyameds.